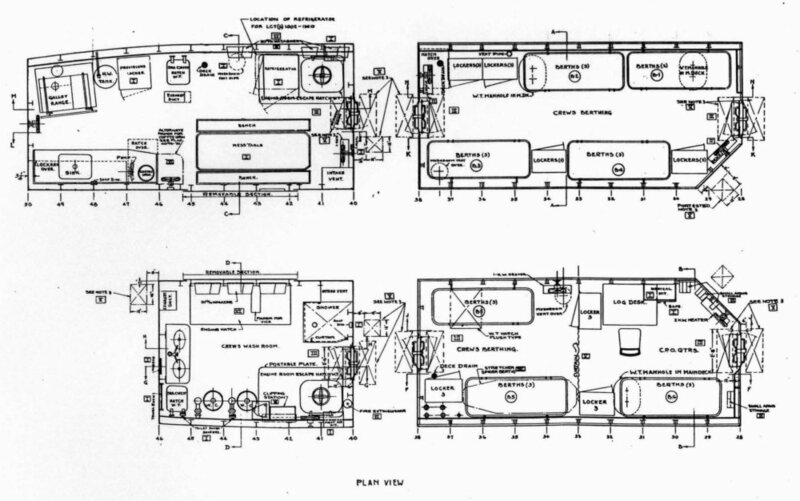 LCTs were built in two models. 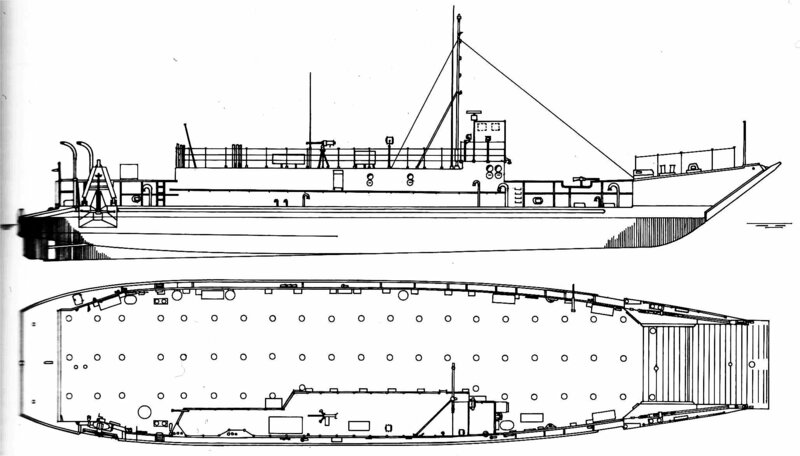 The MK5 was 112 foot, 9 inches in length with a beam 32 feet, a displacement of 286 tons and a crew of 13. 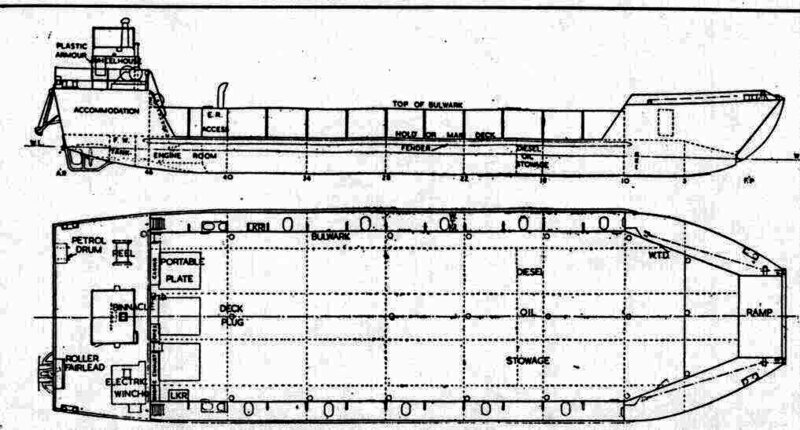 The MK5 had a bow ramp only in contrast to the MK6 which had both a bow and stern ramp and was 119 feet long with a beam of 32 feet and a displacement of 284 tons with a crew of 12. LCTs were the Navys all purpose general duty vessel. 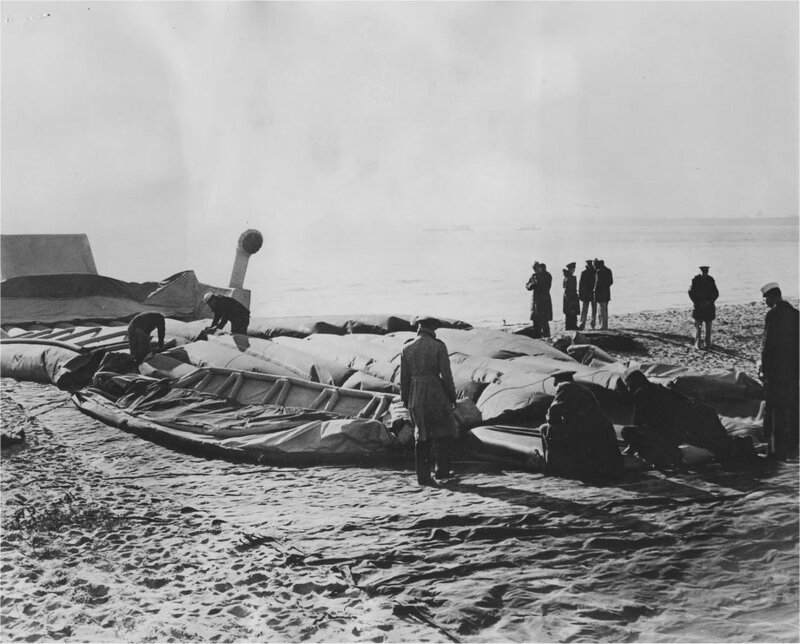 Besides carrying tanks ashore they were used for many different purposes. Some were converted and equiped with guns, others with rockets, while still others served as minesweepers. 26 MK5s were designated LCT(A), armored. Armor was added to these LCTs to allow them to go into the Normandy beachhead with the fire power of two tanks. 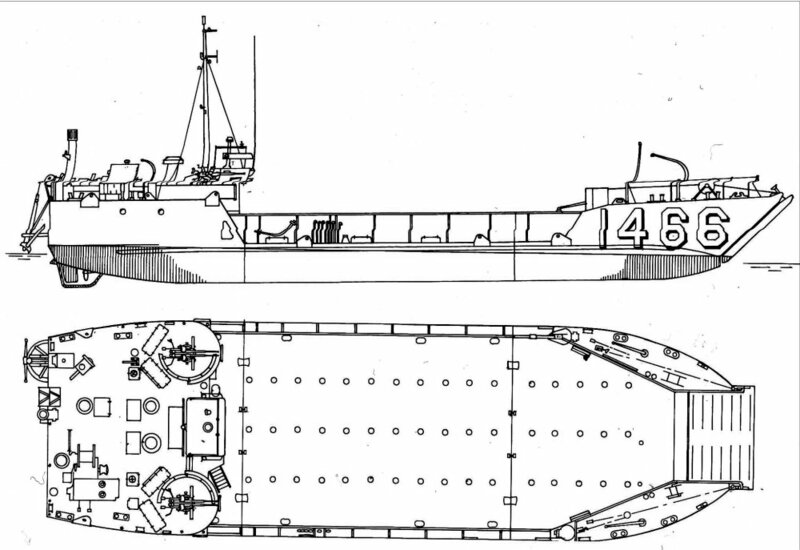 At wars end all MK5s were disposed of while the MK6s were redesignated as Utility Landing Ship LSU in 1949 and redesignated Landing Craft Utility LCU, 15 April 1956. 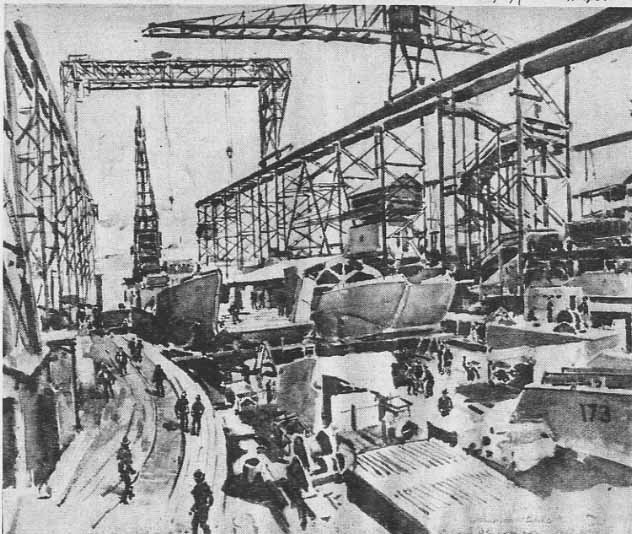 Painting showing the assembly line for LCTs at Mare Island Navy Yard circa October 1942. 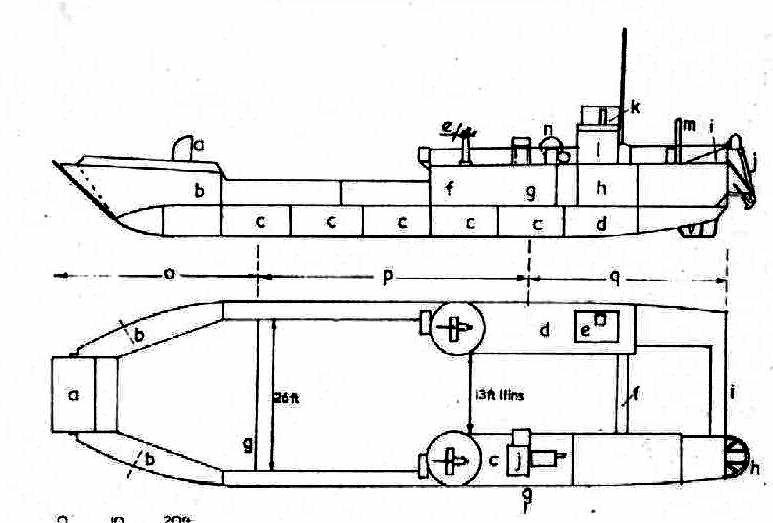 The only LCT identifible is LCT-173. She was a MK5 manufactured by Quincy Barge Builders, Quincy, MA. and transported via rail to Mare Island for assembly. Her keel was laid 20 October 1942 and she was launched and placed in service 5 November 1942. Submitted by Darryl Baker, courtesy of Vallejo Times Herald, Navy Day 1945 (10/27/45). 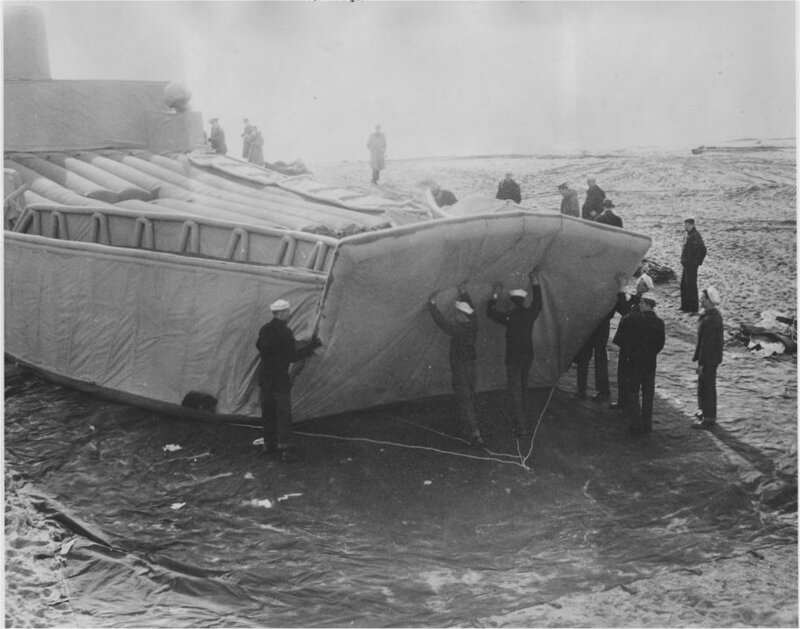 When inflation of the LCT was completed, launching was a simple task for the handful of men who had assembled and rigged the bulky but light, air-filled "invasion craft". 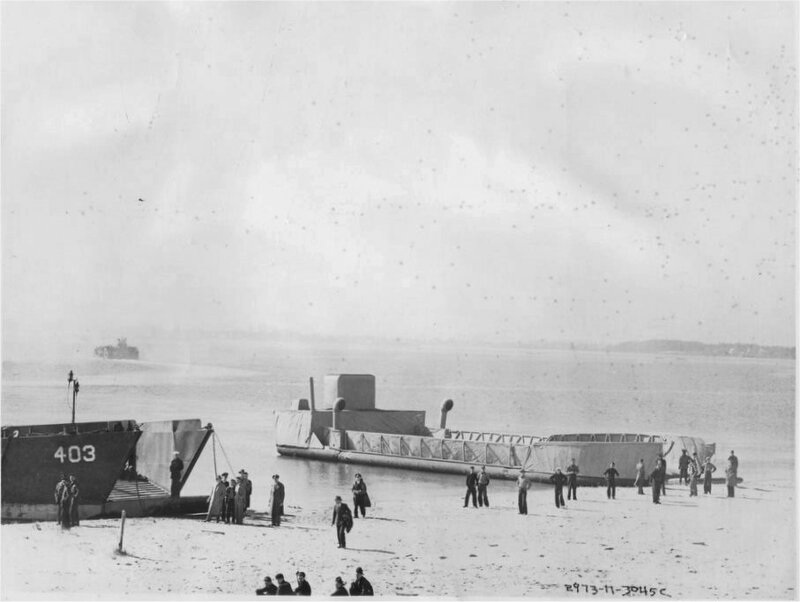 Click Landing Craft Tank Number to view history/photos/crew and reunion information. LCTs at Manitowoc Shipbuilding Co. 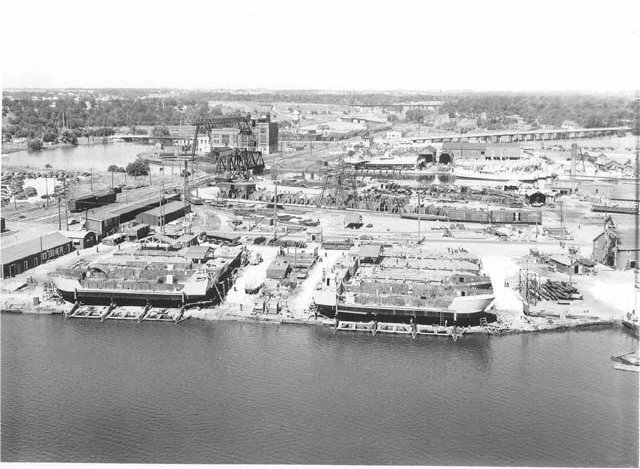 Submitted by Larry Bohn, courtesy of Wisconsin Maritime Museum, Manitowoc, WI.